We cater to the needs of individuals who are quality concious.Better Homes Microfibre pillows are soft and comfortable..
Made of revolution breathable microfiber construction that forms an effective barrier against dust mites and other harmful allergen particles. 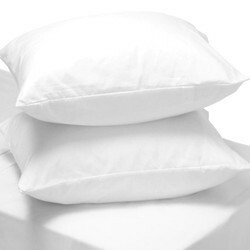 We can supply Microfibre pillows as per customer specifications. - Hollow siliconized, polyester fibre fills. Owing to the years of industrial experience, we have been able to serve our valued clients with a wide range of Micro Fibre Pillow. - Only the best virgin microfibers used. - Healthy peach finished micro fabric shell prevents dust mites. - Lasting loft and heavenly warmth with minimum weight. We are providing wide range of Micro Fibre Pillow. With the same filler inside- a combination of reliance hollow siliconised fibre conjugate fibre, we offer another vareity of fibre pillow with a roto fabric. 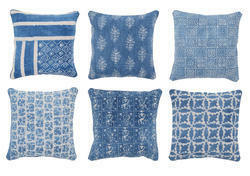 The pillow is customised as per our customer's required specifications and that too at competitive rates.